By now, you may have already set your NY resolutions and broken them. Everyone I have spoken to have broken theirs. But there’s a much simpler method that I invite you to try. Pick a word that you can live and play by, throughout the year. A word that has meaning for you and you can apply it to all aspects of your life. I’ve picked mine. It is REDUCE! 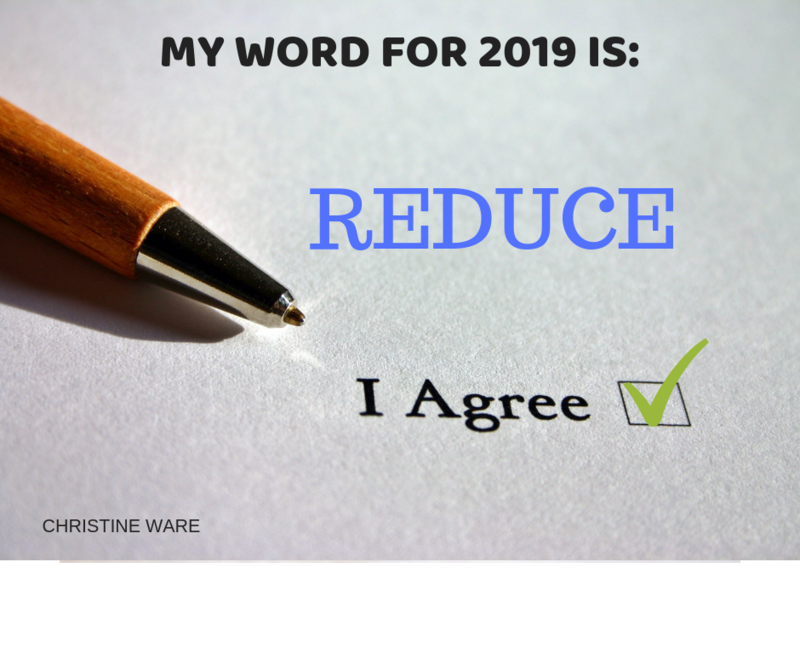 This year I’m clearing clutter, simplifying my social media, reducing the number of newsletters I subscribe to, reducing my weight, reducing the number of books I have, giving more away to charity for others to enjoy and generally paring everything down. I invite you to join me too, and if you want to share your word with me, I’ll be your ‘accountability’ buddy by checking in with you quarterly to see how you are getting on. You’ve spent hours crafting what you think is the perfect CV, but ever wondered what happens to it at the other end? When it reaches the recruiter? Most people I ask think that their CV will be afforded at least 15 minutes of a recruiters time, to go through and digest all its contents. 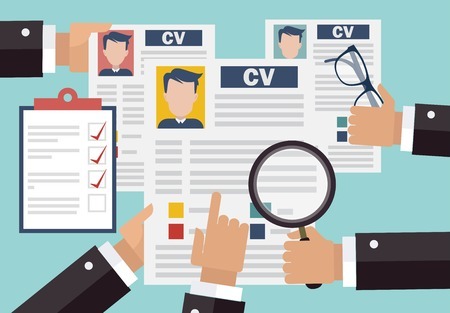 The truth is, your CV will initially get a quick scan and if the recruiter thinks you haven’t got the skills and qualities required for the post, they will reject your CV at that point. No 15 minute read here! It’s much the same when you receive a leaflet through your front door at home. You quickly scan the document for interesting info and to see if you ‘need’ it. Then you may read on further or keep for reading later. If it doesn’t pique your interest in the first 6 second scan, it goes straight into the bin, as is regarded as junk. I do this daily with the deluge of junk mail I get through the door. Double glazing – don’t need it, BIN. Sheds – don’t need it, BIN. Takeaway menu – don’t need it, BIN. The same happens with your CV! 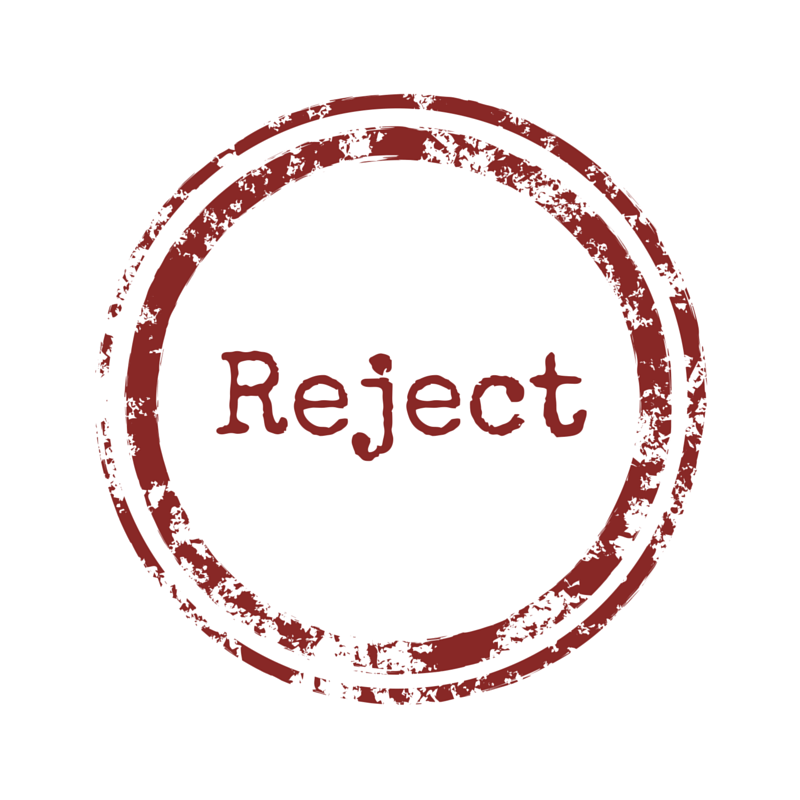 Not a good match – REJECT. 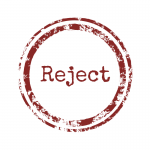 Spelling mistakes – REJECT. 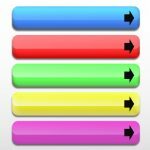 CV long to read – REJECT etc. etc. Your ‘good stuff’ need to be on the first page of your CV and up at the top so you make an immediate impact. So don’t hide some of this ‘good stuff’ on the 2nd page! Your CV is the equivalent of your ‘sales brochure’ – so sell yourself! You need to make that impact. A recruiter should be able to fold the bottom third of your first page under, and read the top two-thirds, and get a real sense of who you are, what you do, and what experience you have. If it doesn’t, then it’s back to the drawing board! Nobody is going to know from just reading your CV that you are hiding your light under a bushel, so let the recruiter know how good a match you are for this role. Recruiters do this job day-in-day-out, and often will be recruiting for numerous positions at the same time, so time is crucial to them. Many roles attract 100-150 candidates, so do the maths – it would be impossible to read every CV for 15 minutes!! So, do yourself a favour by ensuring your ‘sales brochure’ really does capture your skills and talents and mirror and match the role you are applying for. And, if you need a critical eye, I’ll always look it over for you and do a FREE CV review, and tell you honestly where it needs work and enhancement. It’s always good to have a few written down on your notepad, and it’s OK to refer to them if you have trouble memorising them. Some may have already been answered, and it’s good to say this (make the interviewer feel like they’ve done a good job) 🙂 Say something like, “I do have some prepared questions, and a few of them have already been covered in your description of the role – thank you”. 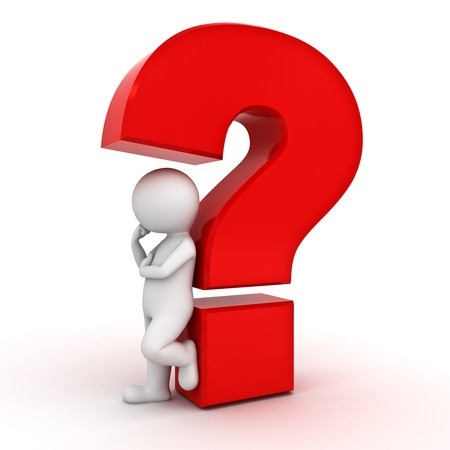 “Can I therefore ask …” and just ask 2-3 questions – not a whole raft that makes them feel like they are being grilled! This is an opportunity for you to gauge whether you’d like to work for them too, so it’s important you also make the right choice of employer. 1. How would you describe the overall management style of the company? 2. Who would I be reporting to and would it be possible to meet that person? 3. What is the biggest challenge this company/sector faces today? 4. Who is your greatest competitor? 5. How large is the team I would be working in? 6. What are the 3 top values of this company? 7. do you have a structured induction programme for new starters? 8. What is the company level of attrition for staff leavers? 9. What changes of promotion are there within this role, or secondment to other roles? 10. Do you offer chances to continue education and training within this role? 11. And lastly, when am I likely to hear whether I’ve been successful and by what method (letter, email, phone call). Building your network is most important. People join LinkedIn to help each other so it’s time to reach out for help and help others too. Start easily with people who you already know (and who know you). These people then become your ‘first-degree connections’. LinkedIn has tools to help you by asking if it can link with your Gmail/outlook account etc. It will use your email addresses to find matches with their members and help you connect. 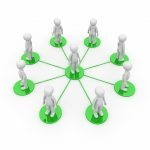 People connected to your first degree connections become second-degree connections if you connect through them. These members can also be useful as you can get introduced through your contact. LinkedIn uses the information in your profile to check against its database and then presents to you people it thinks you may know – i.e. school/uni classmates, ex-colleagues etc. This is why having your profile 100% up to date is crucial. The more information the better it can match you for your past, present and future! You can always use the ‘Advanced Search’ options to narrow down the search for yourself of suitable people to connect to. I.e. perhaps you just want UK contacts, or people within a 50-mile radius of you, or people in your own sector. Obviously, if any of these connections can endorse your skills/talents that goes a long way to prove your credibility and integrity and builds trust. And that’s what LinkedIn is all about – building relationships and establishing trust. Without which, LinkedIn doesn’t work. You should never ever send a generic CV in for a job role. You simply have to up your game these days and stand out to be seen. 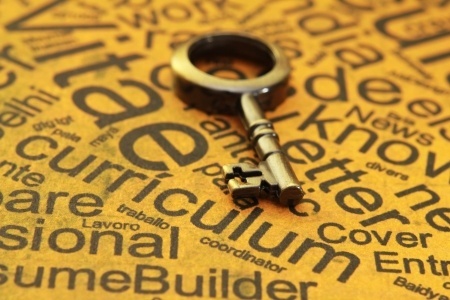 If you are smart, you will have the type of CV that is easy to customise. If you haven’t got one like that, then I strongly urge you to consider my inexpensive but highly professional CV writing kit. Once you’ve found a job you’d like to apply for, then print off the job advert and arm yourself with a highlighter pen. Go through the advert and highlight the essential words and phrases that you think are essential to the role. The key point here is that their most required skills/traits are always towards the top of the advert. 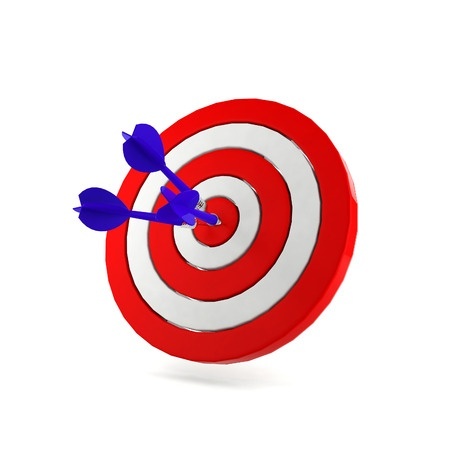 Once you’ve highlighted the essential elements, ask yourself whether you have those skills they require for that role. In your key skills area of our CV, you need to mirror and match what they are asking for – but don’t just copy! For instance, if they are looking for a team player, you could put that you are a collaborator. If they are looking for someone with attention to detail, you could put that you are quality-orientated. Next look at the job spec and see what they require and again you are going to mirror and match that in your bullet points that you list under your career experience section, for each of your roles. If you have direct experience of that, then write that as one of your top 3 bullet points. Most recruiters initially never read the full CV. They skim, scan and scroll. Therefore your ‘good stuff’ needs to be towards the top of your bullet points and the sentences have to have the ‘wow’ factor up at the front of the sentence. Once you’ve finished customising your CV give it one last check over. Go back to the job advert and tick off where you’ve demonstrated those skills. Hopefully, you will fit the role 100%. By doing this, I guarantee you’ll start to get more invites to interview, as you’ll match more closely the person they are looking to recruit! Imagine you are at a huge face-to-face conference where you sit with everyone else for the main part, but then in the afternoon, you get a choice of talks you can attend. Looking at what’s on offer, you will probably choose something that interests you and where you may meet ‘like-minded’ people in the industry that you work in or that you want to join. You could be all day trying to find someone in the main conference hall who could answer a burning question you have, perhaps on how to break into the field of Journalism. Now, if I said that we had 3 talks in the afternoon, one on Journalism, one on Engineering and one on Marketing, which one do you think you’d get the most benefit from? And where are you likely to meet like minded people in the exact field you want to enter. All that talent and experience in one room! Can you see why joining that group would be of benefit now? You may get your questions answered and so much more – new contacts, tips, hints and crucial industry updates. It’s the same with groups on LinkedIn but in a ‘virtual’ space. They all congregate in the same place and help each other. Join groups and ask questions, contribute to other people’s problems by offering solutions, build rapport and give advice if you can. Swim in that talent pool with the industry experts and get known! Recruiters often sift through groups too to search for specific candidates. What are you waiting for? There’s an open door there – get through it! Is It Worth Writing a Covering Letter To Go With My CV? There are split opinions here and I weigh heavily on the train of thought that says ‘yes’ to a covering letter. But I know recruitment agencies who admit to me that they never read cover letters. So why do I think you should still send one? 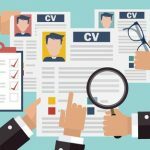 If you’ve prepared your CV correctly, it will very closely resemble what the company said they wanted in their job advert (don’t just send in a generic one). 1. Your genuine interest in what they do (it is a company you have followed for years, engage with or follow on social media). 2. Have you been recommended to apply by someone already involved in the company? It’s OK to name drop on this occasion! It’s a warm lead for them, by someone who they employ saying “here’s another good fit” for this company. 3. It allows you to specifically illustrate how you definitely meet the criteria of the post by outlining exact or similar experience that can also be like a little addendum to your CV (especially if you are obeying my 2-page maximum rule). The last paragraph can also give pertinent information, like holiday dates when you are not available for an interview, and your ‘call to action’ repeated again in bold (aka – please do not hesitate me should you need any further information on 01234 567890). You never know which companies like covering letters or not (except those that ask you to include one) but I hope you’ll see that it can be worth the effort, and may just give you the edge over other candidates! For those of you who have attended my ‘Networking for Career Success’ workshops, you will know how much emphasis I put on handshakes and will have seen my comic demonstrations of what different handshakes look like! 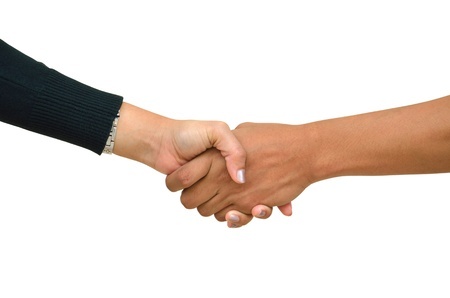 Your career will be a series of handshakes and this simple act can say a lot about you, so it’s time to master it! 1. Keep Your Right Hand Free. Firstly there’s always that awkward moment when we’ve got our right hand full of something, and then someone tries to shake our hand, leaving you to shuffle stuff over to the left or find a table to plonk things on. By the nature that you’ve been using this hand to hold stuff, may mean it is hot and sweaty so the first tip is always to keep your right hand free! 2. Stand Up! Never shake hands sitting down. A handshake always normally is at the beginning or end of a conversation, so stand up to greet that person or stand up to say goodbye. Much more professional and your body language will convey how pleased you are to receive them or say goodbye to them. 3. Look and Engage. Whilst your hands are doing the shaking bit, look that person straight in the eyes. This will convey even more body language to them, and remember to smile! 4. Pressure. I’ve had some killer bone-crushing handshakes done on me (what is that all about?)! I’ve got my theories and so may you have too. The best handshakes are even-pressured and with equality coming from either party. The other ones I hate are where people seem to reluctantly shake your hand and instead hold yours with just a few fingers (no palm on palm here). They make you feel like you have a contagious infection they don’t want to catch, or they are worried you didn’t wash your hands after leaving the toilet! And think about how that makes the recipient feel! Do you leave that conversation feeling valued? Excited to have met that person? Ready to do business? Feeling like you’ve made a new friend? 5. How Many Shakes. 2-3 pumps of the arm are advisable, any more and you’ll be giving them the impression that you are their new best friend! Keep it professional! 6. Practice Makes Perfect. I have my classes of students practice with each other and of course, I join in too and give you instant feedback – smile, look at me when you shake, more pressure needed, less pressure needed etc. The more you do it, the better you become. It’s part of your personal branding, along with your clothing, attitude, manner, confidence etc, so if this lets you down the rest of the brand will be ruined too. So do get it right! 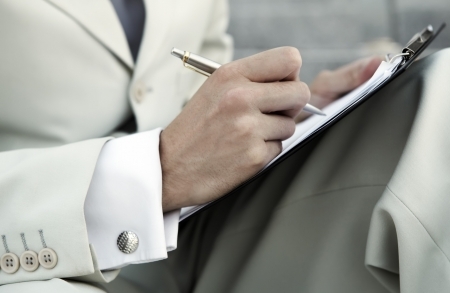 What are Interview Assessment Days all About? Congratulations if you’ve got this far in the recruitment process. Although you may be pleased wither efforts so far, the mere mention of an assessment day may be making you apprehensive! So what are they looking for when they hold these days? 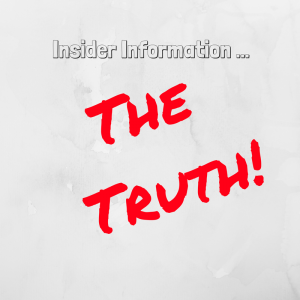 I’ve run many in my days as an HR Manager and I thought it might be good to share some insider secrets. Employers may be looking for different things than what you initially think! Some employers may choose to do a ‘challenge’ type of scenario (sometimes base don a survival exercise). This usually takes the form that they are leaving you in the desert with 5 objects and they tell you the object of your challenge is to all get back to HQ safely, using the 5 objects. There are no real right or wrong answers here, and it doesn’t matter if there was, as they are looking for different things than just getting back to HQ! Your team will probably be between 5-9 other applicants (any more and it is difficult for the observers to watch and listen carefully). Yes, you will be observed and listened to!! 1. 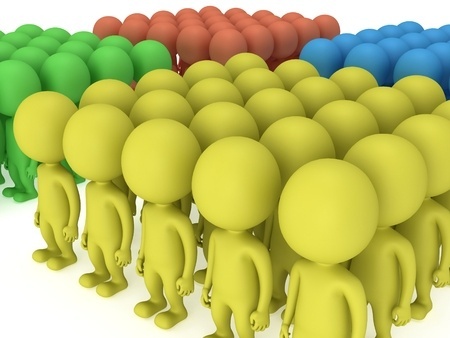 How persuasive you are in a group (and do people listen to you). 2. How mindful you are of others and their opinions (especially if they are different to yours). 3. Who is keeping time in the group (you will be given a specific amount of time for this exercise). 4. Who gives up and goes quiet/doesn’t contribute. 5. Who are leaders or clear team players? 6. Who have creative streaks? 7. Who have the right attributes who would fit in well with the company values? You may well be an excellent candidate, but the wrong fit for the company. 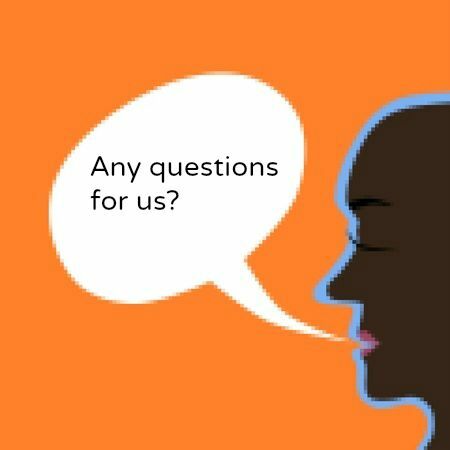 10. Who is good at presenting findings on behalf of the group (can they say it concisely, without rambling/waffle). Think of the TV series ‘The Apprentice’ here, at some of the cringe-worthy candidates they have had on there, who we would be desperate NOT to employ! Other exercises that I’ve prepared for assessment days are the in-tray exercise. You are given a list of tasks and you need to show how you would prioritise them if this was a typical working day). Of course, I always made it a bit more challenging by throwing in a curved-ball half way through, to see how they reacted. Some graduates have also been faced with an online assessment test which normally consists of multiple choice questions. Again to be completed within a set amount of time. If you are going for a mechanical/engineering post it may well have those sorts of questions on too. Don’t think you are off the hook in these scenarios too. For my days I would be watching how you interacted/networked with others socially and whether you just ‘turn it on’ when the cameras are rolling! My secretary also observed for me too as the candidates arrived and booked in, and her observations were invaluable! The 1-1 interview, which sometimes takes place on the same day too. They may have questions about how you felt you performed during the day and there will always be a ‘bank’ of questions which they have previously prepared to ask every candidate (os you al get an equal chance), and no-one gets more of a tough interview than others. I have also given my candidates 15 mins to prepare a presentation topic that they will know about when I tell them. They are then given 10 minutes to do a presentation to a small panel audience. What was I looking for here? 1. Ability to think on your feet on a topic. 2. Keep to strict timescales. 4. Engagement with the audience. 6. Whole delivery and flow in terms of body language, tonality, the speed of voice etc. 7. HOT TIP: It really doesn’t matter how right/wrong your answer way, it’s the way you present the skills that I was judging, that I’d mark you on. I’m not a fan of role-plays, but I know some organisations still use them. It may be useful for them to observe you in a situation which you can’t plan for. I.e. coming face to face with an angry customer and how you deal with them. Do you inflame the situation by what you say, or calm it right down. 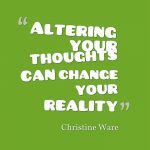 Either way, you will be thinking on your feet and judged on not only what comes out of your mouth, but your body language, how you try to defuse the situation, whether you can get to a solution and move things forward. Ideally, you are looking for a win-win outcome! So, the next time you are invited to an assessment day, embrace it fully. They want to get the right fit for their organisation and by having you with them for a day, they are more likely to see ‘the real you’. This also has advantages for you too, as you can get into the culture of the organisation and make sure it is the right fit for you too! Recruiters these days harness the power of the internet to search for and attract the best candidates for job roles. In order to become a potential candidate and be found, your LI profile needs to stand out. A killer profile needs to highlight your knowledge, skills, accomplishments and potential. You wouldn’t want a potential employer not to see your full potential so do ensure your profile is completed 100%. This gives you up to a 40% greater chance of being spotted. 1. Publish a professional-looking photograph of yourself. Just head and shoulders work best. Not you on holiday or at a wedding – just you in your business attire. 2. Your headline should shout out what you do. You only have 120 characters here so make sure it zings! Make it clear, concise and compelling. Think about what words recruiters would use to find candidates and base it around that. 3. Complete your job experience section. You don’t need to write everything going back years but have at least your last 2-3 jobs on there. Write a mixture of what you did and your accomplishments in here. 4. The summary section is crucial – this normally gets read by potential employers. It’s the equivalent of your Professional Profile on your CV. 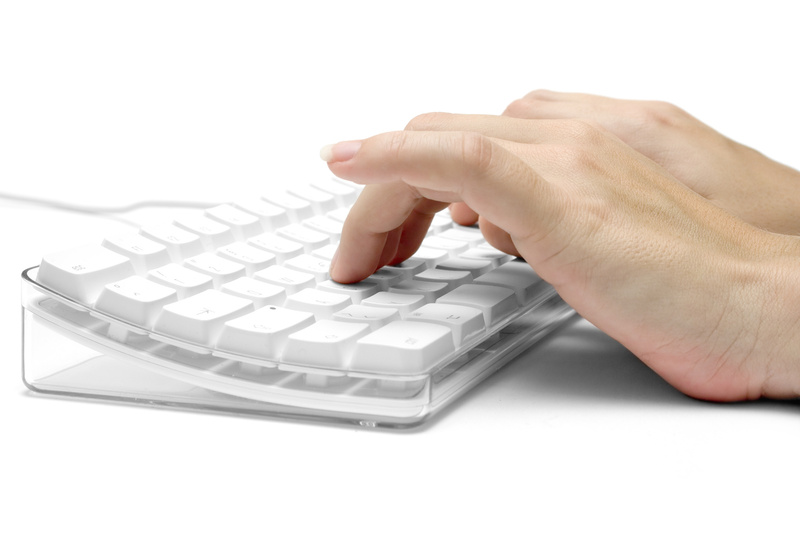 Get lots of key words in there too, so the search engines can find you. Write it in 1st person. 5. Adding volunteer positions and interests shows a lot about you too, so don’t leave this section out. Show them the whole you! 6. Recommendations are worth their weight in gold. Who could endorse your skills/talents/accomplishments? About three would be a good number to start with. 7. Contact details – I highly recommend you customise your LI URL. The one they generically give you will not have much meaning and may well look like a series of numbers. 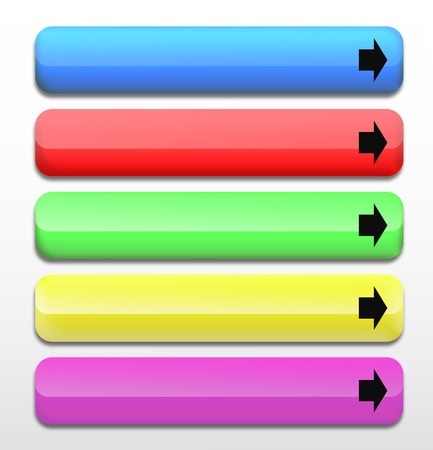 Click on the pencil icon and see if you can get just your name. This URL will then be useful added to your CV (as a clickable link) and possibly your business/contact cards too. 8. If it’s useful to your target audience, you can also list your website address (if you have one) and social media links. But don’t add them if not relevant. Don’t detract from your core ‘personal brand’. 9. Tenses. I recommend you write your CV in 3rd person and your LI profile in 1st person. This makes you more personable. Current work duties/accomplishments should be written in current tense and past ones written in past tense (psychologically this makes the recruiter feel you have that experience already under your belt, rather than currently just learning it)! 10. Personal Branding – think of yourself as a personal brand. Does this profile reflect you well? Does it encapsulate you perfectly? If this was a sales brochure selling YOU, would it entice someone to want to know more, or buy? Lastly, to get ‘found’ on LI you need to get visible. So remember to turn your setting from ‘invisible to non-one’ to ‘invisible to everyone’. You can show some bits and not others, but get brave and show everything! 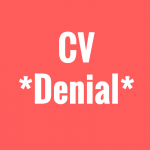 Are You In CV Denial? People come to me for my CV writing skills for a number of reasons, but the main one is that their CV is not opening doors to interview. I’m always amazed when speaking to potential clients, as they think they are just unlucky in not getting selected for interview (rather than the real truth that their CV is not good enough!). Sorry if that makes you wince! Other potential clients tell me that they wrote it themselves and then had someone else look over it and the auntie/uncle/friend/mum said it was great! My reply to them is, is your auntie/uncle/friend/mum an HR Manager or a recruiter? If not, what would they know? They are hardly liable to tell you that it’s terrible, are they?? But to be fair to the auntie/uncle/friend/mum they really don’t know what they are looking for, from a recruitment angle. The definition of madness is said to be doing the same thing over and over again and expecting a different result. Clients do this and never have the concept that there is a right and a wrong way of writing a CV. 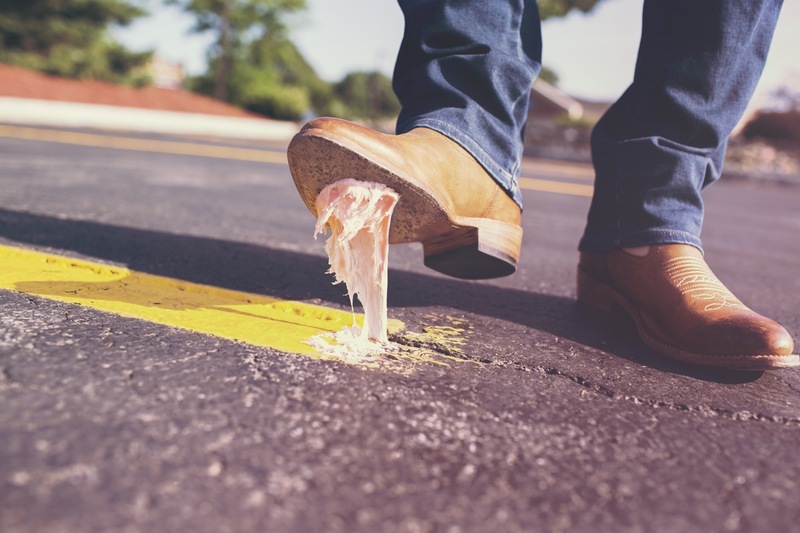 Most CV writers who are worth their salt will have a good ear to the ground about what recruiters are looking for, and more importantly will have a steady stream of clients who are getting an interview with their new super-duper CV’s. 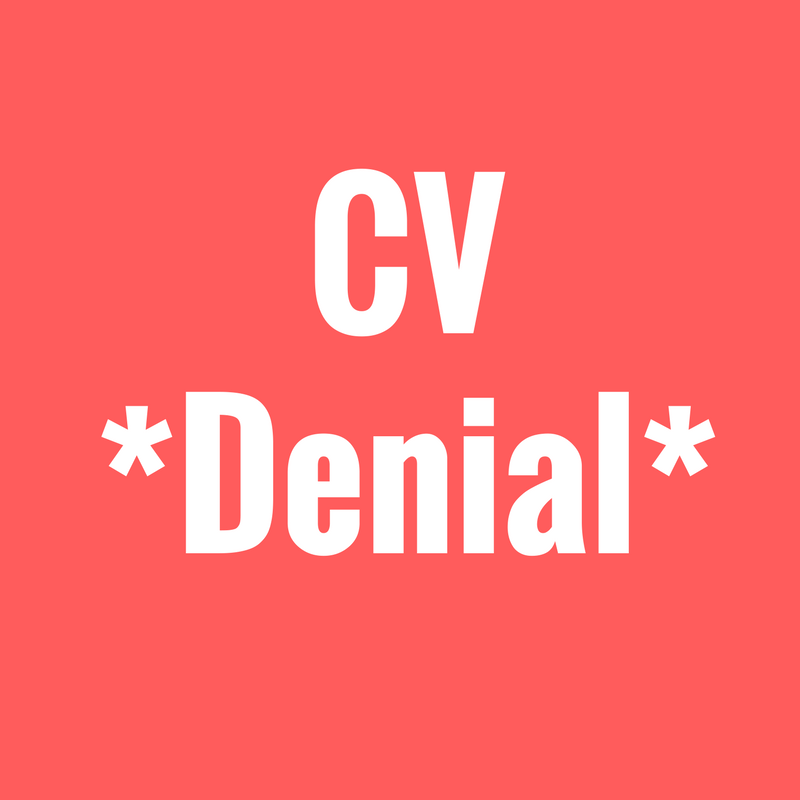 So, are you in denial about your CV? Are you sending it out and not getting the response that you expect? Does your best friend say it is fab? Are you sending it out and not getting interviews? If any of those reasons resonate, it might be time for some plain-talking. I offer a FREE CV review as part of my service. I’m brutally honest when I write your report, but I do this from a heart-centered viewpoint in that I want you to get that job! Lots of my clients have written to me afterwards to thank me for my report, because believe it or not, I write it specifically about your CV. There’s no computer generated or ‘generic’ replies from me! And I don’t add you to a mailing list and then bombard you with emails! What have you got to lose? Stay in denial in your comfort zone, or break out and get that job you truly deserve! 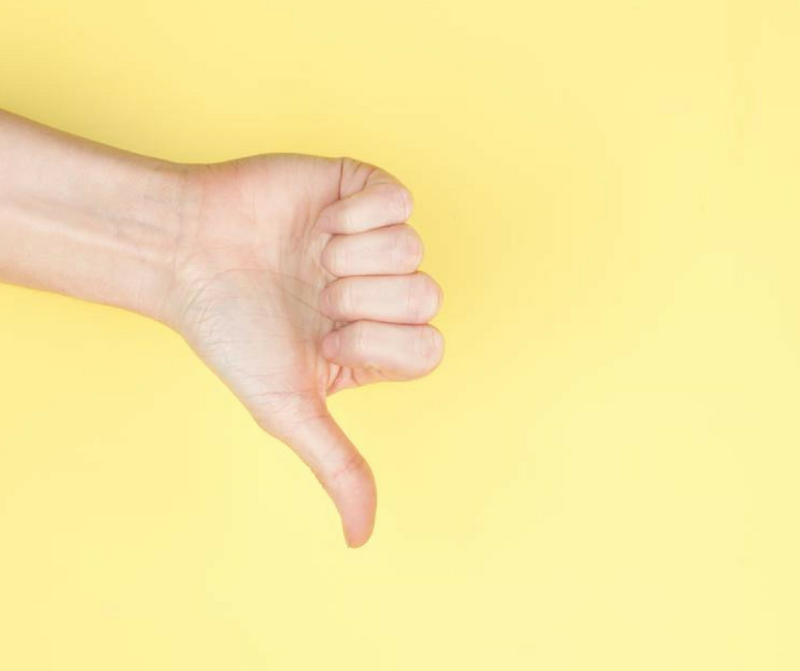 I was amazed at my report – I thought you would just give me a bland report, but it was 2 pages of great advice on how I could alter my CV to get my next role. I took your ‘free’ advice and got a new job! Thank you so much for looking over my CV, all your recommendations are fantastic. 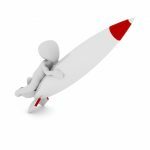 Or if you’d like a copy of my FREE ebook ’25 Top Tips for CV Writing, just click on the link on my homepage. Print off a copy of the advert, your CV and your covering letter. Put these in a file for reference/aide memoir at the interview. 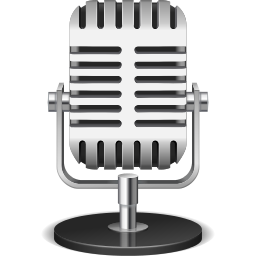 Get the names of who is interviewing you. Check them out online. e. on LinkedIn, company website etc. Memorise their faces and bios. Research the company. Use the company website, Google, Twitter, FB, News, Press Page, LinkedIn too. What is going on in their world? Show you have done your homework. What are their issues right now and how could you help with this appointment? Is the share price up or down? Who are their investors? What are their company values? What matters to them? Plan your trip. If it’s local do a dummy run on the weekend before so you know where they are, where the reception is, where the car park is etc. Double check your interview time. Ensure you have replied to accept the date and arrange to arrive 10 mins before the interview so you can freshen up in the loos, check your appearance etc. (Power stance bit in here). Make pleasant small talk with the people in reception – you never know who they are and the receptionist may have been briefed to feed back on you too! First impressions count. Good handshakes, eye contact, smiles, politeness all goes towards this. Wait to be asked to be seated in the interview room. If there is a panel, shake hands will all of them. Open your folder and have it on your knee or the edge of the table. Pen there too. Shows you are ready for business! Control your nerves. Breathing technique to be put in here. Appearance – your clothes should be appropriate to the role. Clean shoes, hands etc.? Might seem obvious but I’ve seen candidates beautifully dressed and when I look down at their shoes, they are a total let-down. After Interview – if rejected email to thank them for their time. Tell them that despite the result you are still very much interested in the company and would like to watch out for any future openings. Wish them well and say they can keep your CV on file. If I asked you how happy you were with your job/career, what score would you give me out of 10? Anything less than 7 and I would be asking you what you’d like to do about it. Thinking about changing your job/career is a start, but we all know that it’s actions that take you closer to your goal. So what will your actions be to get yourself into a job/career that you completely love? The WORST Recruitment Selection Process I Have EVER Seen! I’ll not name names in this post, as you would be shocked – but I’d love to name and shame!!! A few years ago, a client of mine applied for a service role that required no qualifications, just a willingness to work hands-on and be trained. He really wanted this job, and I really wanted him to at least get an interview so he could demonstrate how willing and able he was. We worked hard on his application and send in a really strong effort for the role. After 3 weeks he got a ‘generic’ response by email saying ‘sorry, you haven’t been selected for interview’. He was gutted – and I was INCENSED! I’ve worked with this company before so I picked up the phone and got through to the line manager and asked him why my candidate hadn’t got an interview. His reply astounded me and these are his words. “Well Christine, I had about 150 applications for this job, and I haven’t got time to read them all, so I just picked the top 6 off the pile, interviewed those and the best one got the job”. I’m still speechless even today about it, hence this post. But for all of you out there whose confidence plummets each time you get a reject letter/email, take a lesson from this in that YOU ARE WORTHY, and a company of this calibre doesn’t deserve you! Do you get that sinking feeling on a Sunday when you know you’ve got work tomorrow? Or perhaps you’d love to get a job and would like to look forward to work on a Monday morning? Chances are, if one of the above sentences resonates with you, then you are ‘stuck’. There are 4 stages where you could be stuck, so identify what stage you are at and then read on for some handy tips and advice. What’s my goal or purpose in life? What sort of people do I like to work with? What are my areas of knowledge or fields of interest? In what location would I prefer to work? Would you move area? What is the minimum salary range I would be prepared to live on? Are there any gaps in my skills that I need further training on? 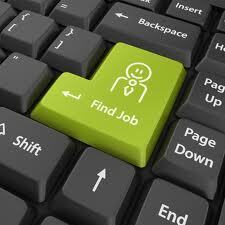 The Internet is a good place to start but rather than trawling all the jobs boards, use one that is a ‘catch-all’. I use www.indeed.co.uk as I like the fact that you can search by area and salary. For instance, if your minimum salary is £25,000 put that into the ‘What’ search box and then put the location in the ‘Where’ box. Make good use of Social Media. Are you on Twitter? If so, follow all the companies that you feel you’d like to work for, and then you’ll get alerts the minute they advertise a vacancy. Same with Facebook. 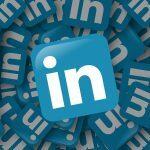 Not tried LinkedIn yet? You should! There are 300m+ users on LinkedIn and that’s companies as well as people. So ‘fish where the fish are’. 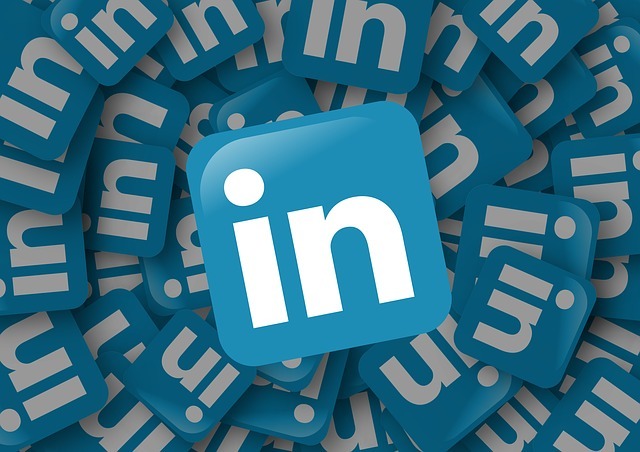 Companies who have their own profile page will often advertise their vacancies on LinkedIn, as that is where they feel the business community is! Word of Mouth. Does everyone you know, know what you are looking for? Let others be a ‘scout’ for you too. If they hear of anything that suits you, hopefully, they’ll hot foot back to you and let you know. Don’t ‘assume’ that people know. It always amazes me how clients keep sending out the same old CV and expect to get a different result. If you’ve sent it out 20 times and you’ve not even got a sniff of an interview, then there’s something wrong with the CV! That’s where people like me can help with a FREE CV Review. Just send it along with a note of what type of role you are trying to get in to and I’ll give you my honest feedback and some useful notes on how to change it, for FREE. Then this is definitely your interview technique that is letting you down. Again don’t go into the next interview with the same old patter, as you’ll get the same old result! If cash is tight then invest in a book. I’d recommend ‘Brilliant Answers to Tough Interview Questions’ as a starter. And if cash is really tight then the library will have a copy. If you can afford it, find a good Career Coach in your area and ask them to take you through a mock interview and give you honest feedback. 75% of Employees Hate their Jobs! Now hate is a very strong word but I’d certainly endorse that figure by saying that 75%+ of people get little or no enjoyment from their career/role. Are you one of them? So how do you get yourselves out of this pickle, so you don’t become part of the 75% statistic? The first step is to have a strategy/plan of moving from where you are now, to where you want to be. And then be prepared to take ACTION to get there. (After all, you wouldn’t go on a holiday without doing a bit of research first and then making a plan – visiting travel agents, looking on the map, researching the area, buying the currency etc. etc). However, although this option is open to everyone, some people seem to get some pleasure from being ‘stuck’. Is that you? If not, get that plan together and have the trip of your life into a career you truly deserve and love. The Career Lens is a great place to start. Download this free exercise and within 10-15 minutes you’ll already be on your way to a new start. Click here to get your instant Career Lens – no sign up required! As a former HR Manager, when one of my Heads of Department had a vacancy to advertise, we would sit down and write a job description and a person specification. That exercise is very interesting because those documents will be written in such a way that is gold dust to the applicant. If I asked you to describe yourself to me, the first things you’d tell me would be the absolutely crucial traits that you’d want to convey. If we did that exercise for 5 minutes, the things that you’d say in minute 4, would still be relevant, but not as pertinent as the ones you said in minute 1. The same goes for the person specification and job description. The things that are the MOST IMPORTANT always appear in the top 3rd of the page, and that’s the exact skills, traits and competencies that you should be ‘mirror and matching’ back in your CV or application form. You want to get the recruiter to feel that you really ‘tick all the boxes’ so that’s why each CV needs to be tailored to each vacancy. That hopefully will get you on the ‘invite to interview’ list, rather than on the ‘reject’ pile. The company gives you the clues … you just have to pick up on them! My last article concentrated on the ‘S’ of D.I.S.C. This week we are looking in more depth at the ‘C’ – Compliance type. High C’s are reserved and task-orientated. They are Competent, Cautious, Careful and Conscientious. They are always in pursuit of excellence and are very mindful of rules and regulations. They will be happy to sit in a room with a computer or a set of accounts, and enjoy being around other people who are outgoing as long as they don’t have to join in with the fun! Being competent they frequently research the facts and will enjoy investigative work. C’s will follow instructions to the letter and will enjoy reading manuals! They can stay on track with projects and enjoy seeing things fall into place step-by-step. Being lovers of detail they will frequently write “To Do” lists and plan as much as they can. Other groups will write “To Do” lists, but the C’s will stick to them! C’s like to be correct and enjoy being right. If you challenge a C they are more likely to go away and check their facts and figures and then come back to you and present you with the evidence! They love to be accurate and produce work of excellent quality. But beware! Because they are always in pursuit of excellence, they will sometimes miss deadlines because their best is never good enough for them. C-types can normally be found in specialist roles – IT, Accountancy, Law, Music, Teaching etc. Their analytical nature likes to ask “Why” questions. They are not risk-takers and would be unhappy if they were pushed into making quick decisions without having time to think. They respond best to a manager who is supportive and is detail orientated themselves, who works by the rule book and doesn’t change their minds on a whim. They like to communicate in writing so a backup email/letter following a phone conversation would be very welcome. Beware that they don’t handle criticism well, as they have a strong desire to be correct – so if you need to be critical make sure it is handled sensitively! Have you recognised your “type” in the past 4 articles? Most people will identify with 2 types and it is the combination of these two, that makes you unique. This subject is endless and if anyone would like me to address a specific issue, I will be happy to write further articles. Are you a High S? This is the 3rd of my postings about DISC Profiling and this week we are looking at High S’s – the ‘S’ traits are all about the Steadiness/pace of work. As you know some people work faster than others and from this trait, we can assess your work rate as well as lots of other things! High S’s are Steady, Supportive and Stable and desire a great deal of Security. Routine may be boring to some, but not to S-types. It gives them security to know that things are not going to change for change sake. S-types are “nice” people to be around – they will always try to help you no matter what, and for this reason are sometimes seen as a soft-touch and colleagues may put on them. They look for ways to cooperate and help and rarely say no. They quite like being given orders and like to do a good job. At home, they can be very sentimental and have favourite films, memories etc. S-types are ideally suited to the service industry as they are the cogs in the wheel. 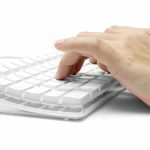 If you manage any S-types then you will be lucky enough to have a workhorse that doesn’t mind repetitive jobs and will work their way steadily through any pile of paper. 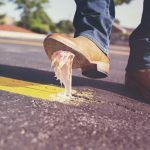 For those of you who are not S-types – don’t even think about trying to liven up their workloads by throwing them into unknown situations or changing things for change sake. The S-types hate this! They like security and fear change. The way to motivate S’s is by showing them how much you appreciate them – smile and say ‘thank you’! If you are a manager of this type of personality then please use a coaching style. Encourage, motivate, inspire and watch! More next week on the C-types in DISC – Compliance. If you like to work by the rule book and strive to achieve quality then this could be you! Are you a High I – a ‘people person’? 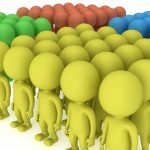 If you read my last blog you will know that I’m working my way through the various personality types in DISC profiling – Dominance, Influence, Steadiness and Compliance. This week we are going to explore the Influence type. High I’s are very people-orientated. Nothing matters more than people, people, people! They are Inspiring, Influential, Impressive, Interesting and Impulsive. They make inspiring leaders. When you are with them you will feel great – their cup is always half full! They make good sales people and make everything sound great. Optimism is their middle name! They can influence you with their charming ways because they are good talkers. For this reason, they make good ‘front line’ people for any business. They also make good speakers, coaches, actors, comedians and teachers. I‘s are not primarily interested in getting a job done – their primary interest is how everyone gets along with each other during the job. Give them a project and they can visualise creative outcomes, endless possibilities and will be great at generating enthusiasm and getting a willing team together to do the work. 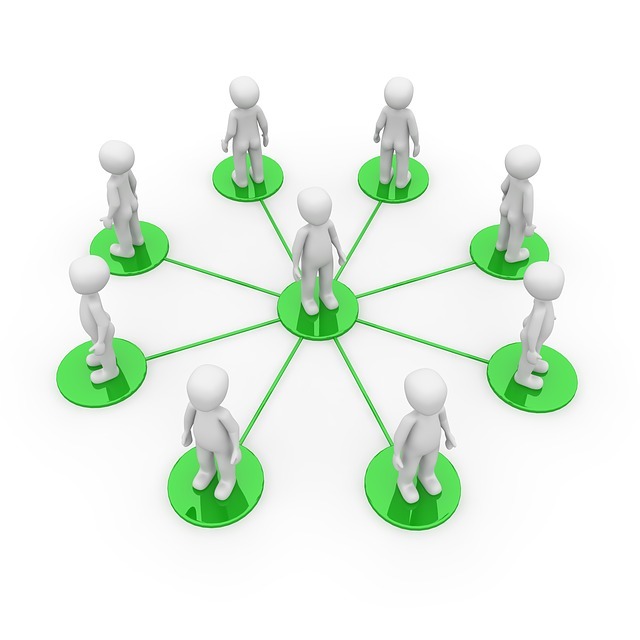 Relationships are paramount and they network very easily because they are naturally friendly. After you have been talking to them for a while you will feel like you have known them all your life. I‘s are compassionate people and would give you their last pound if they thought you needed it more than themselves. Be careful though – don’t take advantage of their generous nature! Next week we’ll be looking at the ‘S’ in DISC, which stands for Steadiness. 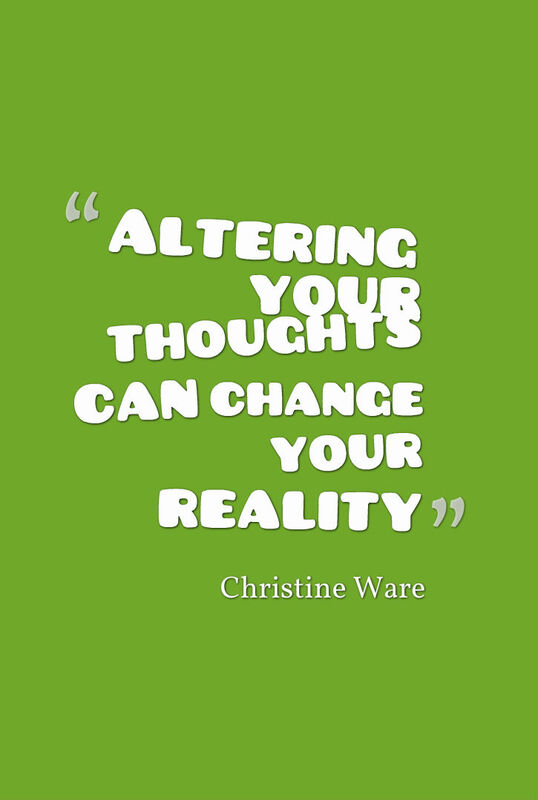 If you are steady, stable and dislike change then this could be you! As a Licensed DISC Profiler, I’ve used this extensively, not only in my career coaching work but also for personal development with my clients. So, over the next 4 posts I’m going to highlight the main behavioural traits of the four groups in D – I – S – C and I’m sure you’ll soon be able to recognise your primary trait! DISC stands for Dominance, Influence, Steadiness and Compliance. Let’s begin with ‘D’ (Dominance type) here. Is this you? Or do you know people around you that fit this description? High D’s are very task-driven and outgoing. They are Dominant, Driving, Demanding, Determined, Decisive and Doers. They make dynamic leaders. They have masses of drive and seldom take “no” for an answer. They tend to take a position quickly and stick to it unless they see a better idea or plan. If you work with a ‘D’ you may sometimes have a difficult time knowing what is going on in their minds. They are normally strong willed and independent. Because they are “bottom-line” orientated they can tend to be blunt and to the point in order to achieve their goal. They are not particularly into talking; more into doing. ‘D’ types make great leaders but can have a short fuse and a hot temper. They can often explode over small things, but 10 minutes later have forgotten all about it, whilst the rest of you are still reeling from the outburst! They quite like conflict and can rise to any challenge. When two ‘D’s clash it can be a good spectator sport, waiting to see who will back down. If you have ‘D’s in your team remember that they need control – give them projects – but don’t give them step by step instructions on how to carry it out. Give them the freedom to make their own decisions – they work best when you don’t tie them down. Just tell them what you want and let them get on with it. That way, you’ll get a good job done well. Recognise yourself? Or someone you work with? In the next post, I’ll describe the ‘I’ in DISC, which is the Influence type. If you like to talk and love people this could well be you! 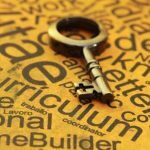 Q: Do I need to write ‘Curriculum Vitae’ at the top of my CV? Answer: My CV review service is very popular and on average I receive about 3 CV’s a day, for this service. The ones that I received today all had something in common. They had ‘Curriculum Vitae’ written across the top of the page. These days, this is not necessary. What is more important is to have your name as a header in a largish bold font so it stands out from the rest of the document. After all, you want to stand out from the crowd, don’t you??? 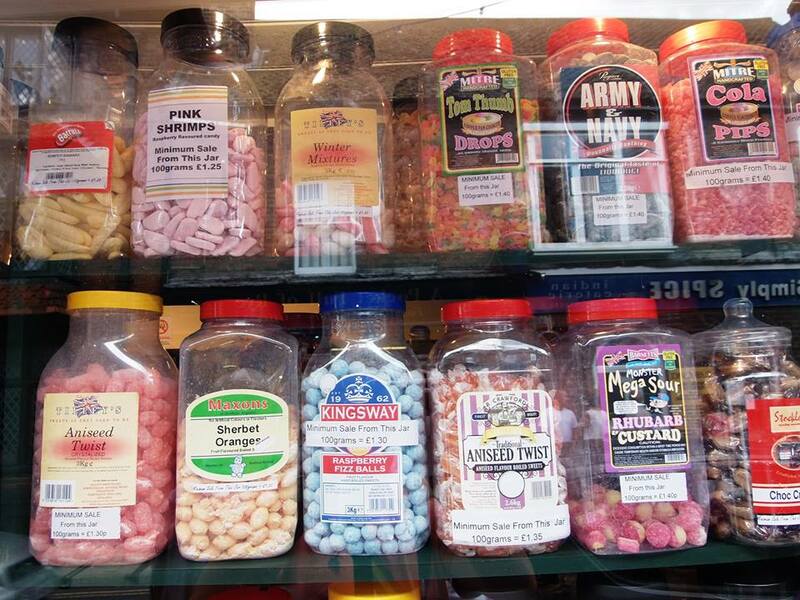 Make your CV look like a ‘sweet-shop’ window! I always advise my clients that if a cv doesn’t grab the potential employer within about 15-20 seconds of reading it then you are unlikely to be asked to interview. I also say this from experience – having worked as an HR Manager and read 1000’s of cv’s, I’ve seen my fair share of good and bads ones! Imagine your first page as a ‘sweet-shop window’ – you want people to come inside and browse, so get your eye-catching stuff in that window to attract attention. Get the potential employer hooked and excited about the prospect of you working with them. 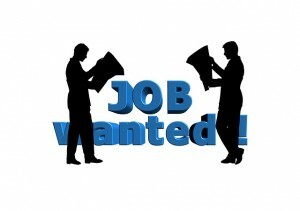 You are much more likely then to get invited for an interview to expand on your skills and talents further. Please don’t assume that your cv will be thoroughly read word for word. If an employer is faced with 200 cv’s for each position, they will skim read first and probably have a ‘no’ and ‘yes’ pile. The aim is to ensure you go on the ‘yes’ pile! So, if qualifications are important for the position you are applying for, make sure that is front-loaded on your cv. If they are looking for particular skills, then alter the layout to make sure they stand out on the front page. 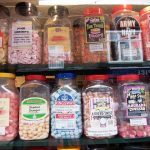 Your cv is probably going to look very different for each position you apply for (and so it should), so just remember ‘sweetie-shop window’ and get your ‘goodies’ on that front page. 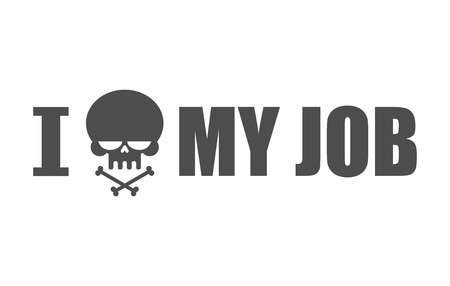 Happy job hunting – and as always, if I can help you in any, please just ask!